3.6 out of 5 based on 13 bloggers and 1 commenters. 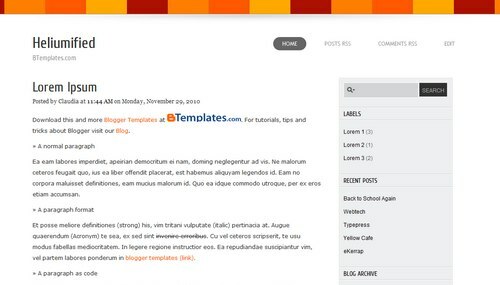 Heliumified is a free blogger template adapted from WordPress with 2 columns, right sidebar and simple look. Template is cool and steady, responsive, high ctr, seo friendly, simple and cool.